You have found our CSA Veggie Selection "Store". 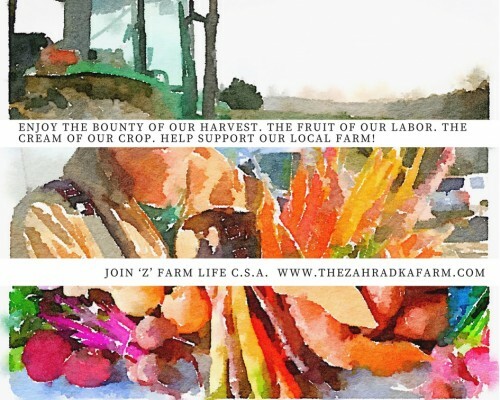 This store is where you, as a valued CSA member will choose your selection of veggies to be harvested, packed and delivered each week throughout the season. If you would like us to choose instead or perhaps you forget to order we will pack a "Farm Choice" share of what we think looks best so that you won't miss out. Add items of your choice to the cart and check out. You will receive a confirmation email if your order has been processed correctly. If you do not receive a confirmation email please email us as soon as possible. Our CSA Veggie Store Is Now Closed For The Week.